In mid June 2016 I injured my left shoulder while attempting to close a window with much force. Since then, there’s been pain and decreased range of motion. I am thinking of doing an MRI scan of my left shoulder but would like advice on the type of MRI and if my dental and breast implants will cause an effect on the results. 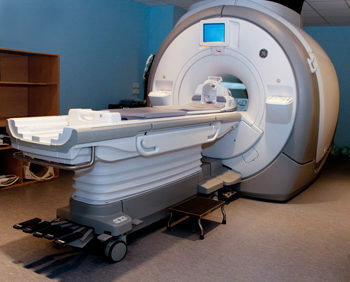 A3.0 T MRI gives better quality pictures than a 1.5 T MRI, but a 1.5 MRI is certainly adequate. Contrast is not needed when looking at the rotator cuff tendons or the bones around the shoulder – generally it is used if looking for a labral tear. The dental work and breast implants will have no effect on the MRI and the MRI will have no effect on them.